Saw Dr. Khosh for a fractured nose. He reset my nose beautifully (and with little discomfort to me) and then discussed some of my sinus issues with me upon my follow up visit. Never felt like he was rushing me out and felt very confident in his abilities. I would highly recommend to anyone needing plastic or reconstructive options! Dr. Khosh takes exceptional care of his patients. He has operated on me twice, each time making me feel extremely comfortable and satisfied with the results. His staff is also very kind and knowledgeable. Dr. Khosh & his staff Susan & Christine are absolutely amazing! They were so supportive & helpful from beginning to end & they are just wonderful people. Thank you guys I truly appreciate everything you guys have done for me. I would recommend them to anyone & everyone! After visiting and being evaluated by several doctors, I kept going back to Dr. Khosh. His tranquil spirit and professionalism were captivating. Thank you for a job well done and keeping me calm throughout the entire process. A special thanks to your staff Susan and Christine for all of their support as well. Hi highly recommend Dr. Khosh. Upon hearing of the overwhelmingly positive experience a friend of mine had in choosing Dr. Khosh as her surgeon, I decided to make an appointment for my own septoplasty/rhinoplasty/turbinate reduction. Although I was slightly skeptical as the praise I had heard seemed a bit hyperbolic, all uncertainty dissipated after meeting the Doctor and his staff. My pre- and post-operative experience was excellent in terms of concerns adequately addressed prior to the surgery and mitigation of any bruising in the convalescent period. Despite my apparent predisposition to rather slower healing, a year after the surgery, my nose looks really pretty and my breathing entirely unobstructed! I highly recommend Dr. Khosh! AMAZING!!!!!! I had Dr Khosh perform lipo on my chin/neck and my result is unbelievable! Better than I could have expected! I met with a couple of surgeons and the second I met with Dr Khosh I knew he was the one I was going with. He was compassionate and explained every detail of what would take place during the surgery and what to expect during recovery. I even emailed a few times during recovery with various questions and he got right back to me asap which was really comforting! I honestly fully recommend Dr Khosh, he did an amazing job and is an amazing person. i can finally breathe!! Dr. Khosh made the entire experience a breeze, it was truly a pleasure to be under his care. I am forever thankful and highly recommend him. Not only does his work speak for himself, but he has excellent bedside manner. His kindness and patience is above and beyond. He takes the time to answer to every question you have to help you understand the process while at the same time making you feel so comfortable. From the first consultation i knew i was in good hands. I am so pleased with the result and forever thankful. Words can not express my gratitude for his amazing life-changing work. I had a tonsillectomy and a Neck Lump removal done on the same day. Everything that you ever heard or read about tonsillectomy, is a dramatic over-exaggeration of people who can NOT tolerate pain. I was so ready for a long misery and stressful recovery... Pffttt , turned out to be a really easy experience. Dr. Khosh did an amazing job!!! Also taking in to consideration that I had 2 surgeries performed on the same day. I was out walking my dogs on day 2. Day 3 Walking dogs, doing some shopping and cooking... day 4 5 and 6 you get the picture. 0 limitations, just listened to my body and didnt overwork myself. Just want to tell anyone and everyone who is either thinking of or NEEDS to have adult tonsillectomy done - Please don't even think twice. You get a perfect dose of painkillers, and they can solve all your pain-needs. Dr.Khosh has an amazing warm and friendly personality, with a heart of gold and superb skills. Susan - my comforting shoulder, and Christine - always happy and positive to brighten your day. I am forever grateful . Choosing Dr. Khosh was the best decision I made for removing my stubborn ear keloid. Other doctors I previously consulted with would tell me that they would not be able to remove it completely and I would need to use radiation to treat the remaining scar and to prevent it from growing again. Also, since I am an out of state patient, he would kindly consult with me over the phone without any extra fees whatsoever. I'm so thankful to Dr. Khosh and his caring team for finally ending this lifelong issue of mine. Dr. Khosh and his staff are simply the best. Extremely professional and easy to talk to, while clearly wanting to take the best care of their patients. I highly recommend Dr. Khosh if you want the results that deliver on both functionality and aesthetics. When I was a child, I broke my nose in 3 different places, 3 different times. Consequently, I found it difficult to breathe. I was diagnosed with a deviated septum and underwent a septoplasty. Years later, I was having trouble breathing again, I was then informed that I had nasal vestibular stenosis and my nose was collapsing. I went to several different doctors and one informed me that if I had It fixed, it might completely collapse. I then realized how important it was to find a specialist. After doing a lot of research, I found Dr. Khosh. He has fully restored my breathing, my nose looks great and I feel wonderful! Dr. Khosh is a miracle worker. I had almost given up hope of breathing properly again until I found him. My story begins when I had a rhinoplasty (nose job) at 15 by a local ENT. This was not for cosmetic reasons, but to correct a deviated septum. This had limited my breathing capacity. One year later my doctor redid the surgery because my nose had fallen. Over the next fifteen years I developed a series of problems with my breathing: polyps, scar tissue, and had numerous sinus infections. As I got older these became more frequent. I finally decided to change doctors, as my doctor was getting older. My new ENT pointed out that I had a problem: my nasal valves had collapsed due to the loss of cartilage in my nose. I had no idea until he pointed this out to me. To correct this surgery would be needed. However, this proved to be far more challenging. My new ENT did not do this kind of surgery but recommended 2 doctors who were affiliated with his practice. (I should mention here that I went to another doctor who confirmed this.) I scheduled the appointment with the recommended doctors who were plastic surgeons as well as ENT's. All concurred with the diagnosis but were unable to correct it. I presented with a very difficult case: there was very little cartilage remaining in my nose which resulted in its collapse. The surgery would require using cartilage from either behind the ear or the ribs. Unfortunately, neither doctor felt they had the experience to perform the required surgery. I was grateful for their honesty. They told me that I needed to find a doctor who routinely performed this kind of surgery and had experience with nasal reconstruction. In my search for a doctor I became truly frustrated. Some said the surgery was too complicated and that they did not have the proper experience and one doctor was only interested in telling me his fee and how wonderful he was. My parents were concerned that since I had developed scar tissue previously this might happen again. I refused to accept what these doctors said and began an extensive search online. This led me to Dr. Khosh. Dr. Khosh had glowing recommendations, performed this type of surgery routinely, and had an impressive resume. At my first and only visit with Dr. Khosh before my surgery, he immediately put my mind at ease. He answered all my questions, discussed my particular case, and how he would fix the problem. I knew he was the one and left his office with a date for my surgery which required a nasal valve repair and reconstruction. My nose needed to be rebuild using cartilage from my ribs as I did not have enough behind the ear. Susan, the office manager, was wonderful in more ways than I can describe. She took care of everything for me: filling out all the forms for my insurance and submitting them. She was there throughout the process and never failed to answer any of my questions. The surgery turned out to be one of Dr. Khosh's more challenging case (his words, not mine). He removed old scar tissue and rebuilt my nose. He prescribed medicine that amazingly reduced the swelling nor did I have black eyes following surgery. He called several times to see how I was doing. Unbelievable! On my follow-up visits I feel as though i am seeing an old friend. He never fails to ask how I am doing and any concerns I have. Best of all, my nose works and I can breathe through it. Great office. Dr Krishna and his staff are attentive, compassionate, and highly skilled. I would recommend them highly for any facial plastic surgical procedure. Doctor Khosh is a remarkable man as well as a very talented surgeon. He operated on my teenage son and the surgery was very successful. Dr. Khosh reshaped my son's ear to make it look normal. The surgery went very smooth and the results were amazing. Dr. Khosh also has very good bedside manners. We would definitely recommend Dr. Khosh to anyone who is in need of a surgery. I had my keliod removed today. Thank you Doc. To you Chris and Susan. Everyone was pleasant non judgmental. Everyone showed a high level of understanding. Which was a breath of fresh air. Other doctor's in the industry that I've met prior to Khosh rushed...the consultation....no words can describe how happy I am with the surgery I had today. Don't waste your time with other plastic surgeon and spending consultation fees with no result. See Khosh. Dr. Khosh is truly a compassionate, gifted and kind physician. I always felt like he truly cared about me and my concerns. I had an incredible outcome and everyone complimented how great I looked after my injections. It's like I looked 30 years younger in 30 minutes. I would highly recommend him to all of my friends and family. Dr. Khosh is the best! 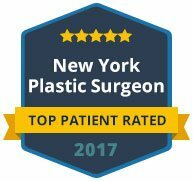 I needed to have surgery on my cheek and was so nervous about it so wanted to find the best facial plastic surgeon in NYC. Dr. Khosh came highly recommended from my dermatologist and had top credentials with double-board certification, so I went with him. We decided together on the best course of action both medically and cosmetically and he was so assuring with his terrific bedside manner. He was unrushed with each consultation and with the surgery, and he even added extra dressing to my wound after I requested it (it was unnecessary but just gave me the comfort I was seeking). His surgery work was careful and thorough, and I'm thrilled with the results. There is very little scarring as he promised. Dr. Khosh has everything you want in a doctor -- friendly and helpful staff, a beautiful and tranquil facility, top credentials and experience, amazing bedside manner, and thorough follow-up! You will be in safe hands with Dr. Khosh! Dr. Khosh and his staff are true professionals & were extremely informative, patient and helpful in all my interactions. I suffered, for as far back as I can remember, from a SEVERELY deviated septum. I had a botched septoplasty 15 years earlier by another Dr. that did not resolve my breathing issues. My nasal passage was over 95% blocked. I also suffered from severe sleep apnea, which we later determined was due to my breathing issues. I did quite a bit of research and visited a number of Dr.’s before I landed on Dr. Khosh. He is a certified facial plastic surgeon and ENT. Dr. Khosh walked me through all my options in detail and was very helpful in answering all of my questions. My surgery was life changing. I had a septoplasty to correct the nasal passage and a rhinoplasty to help with the airflow. Dr. Khosh also helped open up my sinus passages and polyps. I was nervous that the rhinoplasty would severely alter the 'look' of my nose, but that was not the case. I was extremely pleased with the aesthetic outcome and more importantly was able to finally breathe properly! I was also finally able to sleep through the night and wake up refreshed and energized for the first time in my life…like I said, truly LIFE CHANGING! The facility where the procedure was conducted was also very friendly and helped ease my nerves the day of the surgery. I recouped with practically zero bruising and was back at work after 5 days. Make sure you take Arnica to help w/ any bruising. Also, the NeliMed Sinus Rinse helped with the healing. My only regret is not meeting with Dr. Khosh sooner in my life to have this completed. Thank you again to Dr. Khosh and staff for all of your efforts! If you suffer from a deviated septum then you MUST visit Dr. Khosh, at the very least, for a consultation. You will quickly see why he is so highly accredited in his field. I had really bad scars all over my back for a few years. I was pretty self-conscious about it to be honest. But Doctor Khosh was very professional and kind throughout the entire time I was with him. He and his staff helped me with any issues I had and in a little over a year, my scars were all virtually gone. 10/10 IGN, Would Recommend. Upon hearing of the overwhelmingly positive experience a friend of mine had in choosing Dr. Khosh as her surgeon, I decided to make an appointment for my own septoplasty/rhinoplasty/turbinate reduction. Although I was slightly skeptical as the praise I had heard seemed a bit hyperbolic, all uncertainty dissipated after meeting the Doctor and his staff. My pre- and post-operative experience was excellent in terms of concerns adequately addressed prior to the surgery and mitigation of any bruising in the convalescent period. Despite my apparent predisposition to rather slower healing, a year after the surgery, my nose looks really pretty and my breathing entirely unobstructed! I highly recommend Dr. Khosh! It is very rare to find someone who is incredible at what they do, and also take their time to address anything and everything you have to say. I have seen many doctors in my life and he is the absolute best. This man changed my life so much! So talented, and cares for you on a level that you won't find anywhere else! Thank you Dr. Khosh and your team for taking care of me while I was here. A thank you seems so small for all you have done in my life! 5 stars do not do justice in describing Dr. Khosh’s excellence! I came to see Dr. Khosh after breaking my nose. Upon arriving at his beautiful office, I spent little to no time waiting in his waiting room and was seen by Dr. Khosh almost immediately. His compassion and bedside manner were only surpassed by superior surgical ability. I left his office in virtually no pain and by the next day, my nose felt straighter and easier to breathe out of than before I had broken it. I cannot thank Dr. Khosh and his staff enough for their warmth and compassion. If you are looking for a top plastic surgeon, there is no other choice. Doctor Khosh is an amazing doctor. I have been looking for a dermatologist or plastic surgeon to help me with a keloid that I had on my chest for years. I had gone to several doctors prior and the results were minimal. I even considered laser therapy. I did an internet search for doctors that had proven results in shrinking and/or removing keloids and found Dr. Kosh's reviews on Yelp. At first I was skeptical and a little nervous, but once I actually met with Dr. Khosh, his friendly bedside manor put me at ease. He is such a nice person and his wealth of experience and knowledge is impressive. And yet he is one of the most humble doctors that I have ever met. The results are phenomenal. It took about 6 months of visits, but I can't even see a keloid any more. Thank you Dr. Khosh. I feel so much more confident now and I am ready for the beach. I had/am having a great experience working with Dr. Khosh. I was very nervous when I broke my nose, especially because it's in the center of my face. I appreciated his patience and calm demeanor as he walked me through my options. He did not sugarcoat or misrepresent the potential results. Overall, he made me as comfortable as possible through the process. Dr. Khosh is excellent and professional! I have been his patient since 2012. His staff is lovely and his office is beautiful. I recommend him without any reservations! I had a wonderful experience at Dr. Khosh's office. I have been suffering from frequent nose bleeds and he fixed the problem in no time. He was extremely professional, pleasant, and personable. He inspires trust and I would recommend him to anybody who might need his services! Kudos! I came in for ear keloids, and through injections/surgery, Dr. Khosh was able to remove my larger keloid and restore me to aesthetic norms with minimal surgical scarring and unelevated keloid remnants (which are unavoidable due to the original keloid size). Dr. Khosh is courteous, honest, kind, professional, and takes pride in his work - qualities that all made it easy for me to place faith in his abilities to take care of my keloids. Christine and Susan are very kind and attentive, and have been patient in dealing with my questions. I'm currently 2-3 months out of surgery with fingers crossed that the keloid doesn't return, and will update this post as it progresses! You can probably ask the office for pictures of my keloid journey (or others) pre and post-op. After suffering from what I thought to be swollen lymph nodes in the neck and the resulting anxiety/pain associated with it, I knew I had to see a good ENT doctor right away. 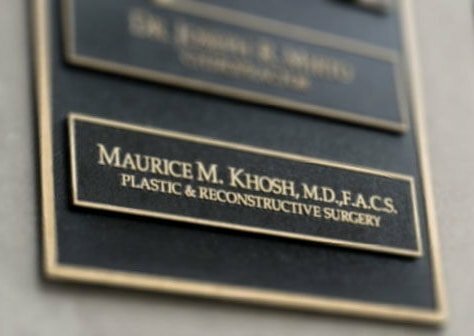 Went to see Dr. Khosh today after reading about him on Google, and boy was I not disappointed at all. He was attentive, friendly, knowledgeable and humble, to the point where he said I can call him by his first name, Maurice. What doctor does this?! He felt around my neck and assured me it was not lymph nodes, but swollen muslces. He then placed a fiber optic camera (more efficient than sonograms and x rays) down my throat via the nasal passage, with care. He confirmed that I had no infection and no signs of any serious illness - perfectlt normal! Whew! Anxiety gone! And guess what, the swelling has subsided some already. He did say anxiety could worsen the issue, then ordered me back to the gym to relieve this tension. I would reccommend Dr. Khosh any day of the week to anyone with worries about their neck and throat. Even his office staff are wonderful people! Thank you, Doctor Kosh, for quelling my anxiety with professionalism and thoroughness. God bless! Excellent work, and a really gentle, decent guy. I went in for a somewhat routine (some would say unnecessary) procedure and Dr. Khosh and his staff could not have been nicer. Completely painless procedure and smooth healing process. High marks all around. I chose Dr. Khosh to perform my rhinoplasty and I could not be happier with the results! Throughout the entire process Dr. Khosh was present and very involved. He listened to what I wanted and also, very importantly, made sure my breathing was improved through the surgery. Many plastic surgeons performing rhinoplasties ignore the functional aspect and make their patient's breathing worse through surgery in the name of cosmetics. Dr. Khosh however, improved my breathing greatly! Perhaps what made him stand out the most was just how natural he made my nose look. He made a computer rendering before the surgery and the final result was almost identical. People who don't know me very well couldn't believe I had a rhinoplasty done, but my close friends said it brought out my natural beauty. I love how my nose looks now because it doesn't look ""done,"" but instead accentuates me. I used to be very insecure about my nose and now I feel so much more confident. Dr. Khosh is not only a surgeon, he is an artist. Would recommend to anyone! In June 2016 I had Mohs surgery to eliminate cancer cells from my left inner ear lobe. After the surgeon was done with the surgery she showed my how much cartilage was removed from my earlobe. She advised me that it was too much to suture and I needed reconstruction. She recommended Dr. Khosh. I feel that Dr Khosh's bedside manner both before surgery, during and after was outstanding. He was available to me any time including after hours and he called me several times or texted me. Since he also did a skin graft on my good ear, I had to deal with both ears being in pain at the same time and sleeping was impossible. Dr Khosh was sympathetic to my needs and walked me through the first few weeks. I have now fully recovered with very little scarring on the reconstruction and skin grafts and would recommend Dr. Khosh to anyone needing reconstruction surgery. Dr. Khosh is a wonderful and knowledgeable physician. He is very friendly and always takes the time to ensure all my questions are answered. When scheduling appointments, he and his staff have been so helpful and accommodating. I have had a very positive experience and would highly recommend Dr. Khosh! Not only does Dr. M. Khosh work speak for itself, but one consultation with him and you will understand why he gets such rave reviews. I wanted to take a moment to thank you Dr. Khosh for taking such great care of me. I knew from the moment I met you over 18 years ago that if anyone was going to operate on me, it would be you. I cannot thank you enough for your care throughout my entire experience at your office. I am beyond pleased with my results and overwhelmed by your patience and kindness. I couldn't have asked for a better surgeon and team to accompany me on my journey towards health & wholeness. As a patient and as a Family Nurse Practitioner you have my highest recommendation for any new patient. I've known Dr. Khosh for many years. Having referred numerous patients to him, I am always amazed at how much my patients rave about his warm and caring bedside manner and impeccable results. His unparalleled surgical results with his kind and affable demeanor are a unique combination that is rarely found. Dr. Khosh was very friendly, knowledgeable and professional. The waiting time in the office was minimal and he explained everything in detail about the procedure. I usually visit Dr.Khosh as a ENT, it is always a pleasure to be greeted by the staff, Susan is always so cheerful and makes the place friendly and welcoming, especially when your not feeling well. Dr.Khosh always has the answers and is very gentle and caring which is needed with any doctor. Love him love the office! 5 stars all around! I saw Dr. Khosh for a bilateral earlobe repair procedure. From start to finish, I had a very seamless experience - the doctor and his staff made sure I was well-informed and comfortable through the whole process. The procedure was quick, painless and without any complications. The ears are healing quickly. I cannot express my gratitude to the doctor and I highly recommend him to anyone. I took my daughter to visit Dr. Khosh for a face check up. From the moment we called the office for an appointment to the moment we walked in to the office we knew we will be in good hands. The office Manager Ms. Suzan did receive us in a professional manner, she was so helpful. Dr. Khosh did comprehensive exam on my daughter's face with a nice smile that gave my daughter so much comfort. He answered all our questions and gave us all time we needed. A friend of us recommended Dr. Khosh to us and she was %100 correct. He is a great Dr. and we will be back to see him soon. My rhinoplasty with Dr. Khosh was a wonderful experience. From the first moment I spoke to the doctor, I was sure that he was going to do a fantastic job on my nose. He has a very calm and patient demeanor, which coupled with his obvious expertise, made the decision to have my rhinoplasty with Dr. Khosh, a simple one. He answered all my questions and put my mind at ease. He was kind and reassuring before the surgery and afterwards, very available to address any concerns that I had while I recovered at home. When he removed the bandages, the results were quite pretty from day one and have only gotten better and better in the two and a half months since the surgery. My nose is beautiful and natural-looking. I am thrilled with the results! Dr. Khosh is an extremely talented plastic surgeon and I am thankful that I was referred to him for my surgery. I feel I should also mention that Susan and Cristina, who make up Dr. Khosh’s office staff, are accommodating, caring and a pleasure to deal with! Thank you again, Dr. Khosh, for both your skill and kindness throughout the experience! Dr. Khosh is an amazing surgeon. He did a great job telling me exactly what to expect before, during and after my surgery. He is very gentle and kind. I feel like I am in good hands. Plus I had rhinoplasty (nose job) and it looks incredible. I came to Dr. Khosh because I had experienced difficulty breathing and snoring at night. He was able to come to the conclusion that I had a severely deviated septum, and that surgery would help me immensely. I had surgery on my septum July 14 and one month later I can truly say I feel like a new person. My breathing has never been better and it is all a credit to Dr. Khosh. Prior to surgery, Dr. Khosh and his staff could not have been more accommodating. We had to reschedule our surgery and it could not have gone smother. 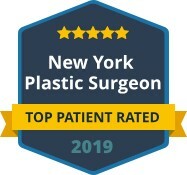 I highly recommend Dr. Khosh, not only based on his merit and evident body of work, but because he was extremely helpful, thorough, and patient oriented. Dr. Khosh is an incredible doctor and surgeon. From the beginning he was patient, calm, knowledgeable, and kind. He listened to my concerns and addressed each of them, never pressuring me and always making sure I felt comfortable. His bedside manner is compassionate and nurturing and he makes you feel at ease. The results of the surgery were fantastic, and I recommend anyone who wants the best care and results to see Dr. Khosh. I had breathing problems for more than 4 years, basically sneezing a lot, stuffy nose in horizontal position and awful sleeping, and finally found the doctor who can help me with it. Dr. Khosh made surgery (turbinates reduction) super easy and fast, I came home same day. No pain at all even after surgery. And one week after surgery I was breathing almost perfectly! It is such a great feeling to breath through nose as regular people! No more stuffy nose, mouth breathing, bad sleeping and snoring! He is also have super friendly personal at his office. I underwent revisionary septoplasty with Dr. Khosh back in December of 2014 and I could not be happier with the results. I made the mistake of going to someone less than qualified in comparison do Dr. Khosh and I suffered. My septum was still grossly crooked before revisionary surgery with Dr. Khosh and now it is essentially perfect. Granted I still have some breathing issues, but that is attributable to my allergies--it is important to realize you probably won't breath perfectly after all is said and done. I would highly recommend Dr. Khosh to anyone looking for nasal surgery as he is kind, reassuring, and excellent at what he does. His staff is also wonderful! Thank you Susan and Christina! Dr. Khosh is an amazing doctor. He is genuine, caring, and kind hearted. I had work done recently on my deviated spectrum due to being a premature baby. My surgery was a success and thanks to him, I can finally breathe better and gotten the results I always dreamed of. I don't think anyone else but Dr. Khosh could have fixed my nose and I am forever grateful to him and his staff. I highly recommend him, I promise, you will be far from disappointed. I went to Dr. Maurice Khosh because I read all the great reviews he had concerning keloids. When I went to his office for a consultation, he looked at what I thought was a keloid on my ear. After further inspection, he came to the conclusion that it wasn't a keloid but a cyst and he took care of it right on the spot. That cyst was bothering me for over a year and he made it disappear in less than 2 minutes. He is a very knowledgeable doctor and made me feel super comfortable during my visit. Thank you Dr. Khosh! Dr. Khosh an his team are excellent. The entire experience was first rate. I highly recommend Dr. Khosh! Fantastic experience from start to finish. I had a septoplasty and turbinectomy done to fix my deviated septum and breathing problems. The procedure and recovery went perfectly, and the doctor and his employees were very friendly and helpful throughout the whole process. If you have this problem you should definitely use Dr. Khosh. Dr. Khosh fixed my deviated septum which was causing me MAJOR breathing problems. I was scared of being overly swollen and blue like the people i've seen BUT that was NOT the case with my surgery. I had very very minor swelling the first day only but I wasnt bruised at all. The minor swelling was gone quickly. Overall, I am extremely happy I picked Dr.Khosh to do my surgery. He made me feel more at ease about my surgery and the results were absolutely amazing. I feel brand new! He was available to address all my concerns and questions before and after surgery. I could have not picked a better surgeon I had a great experience with him as well as great results I can breathe like a normal person now. Dr. Khosh is a sensational surgeon. I'm 17 and I had a mole located on the corner of my mouth that had been killing my confidence for most of my life. The job he did removing it was absolutely phenomenal. My biggest fear going into the surgery was the risk of scarring on my lips. But there was no trace of a scar and my lips are now perfectly symmetrical. I will forever be thankful to Dr. Khosh and highly recommend him. Dr. Khosh is an amazing surgeon - he is extremely talented and a wonderful and caring person. He did a gorgeous job on reconstructing my daughter's nose. She had been born with a massive facial hemangioma which significantly deformed her nose. Her vascular birthmark's surgeon recommended Dr. Khosh to fix her nose, and we are just thrilled with the results. Her nose looks so natural, straight, and symmetrical, which is so hard to believe because her face was so disfigured. From our first consultation to our post-surgical follow-up appointments, Dr. Khosh has been so kind, warm, and caring. He made sure to discuss our specific expectations to make sure that we were realistic about the outcome. His work so far exceeded what we had hoped for, and now my daughter has the nicest nose in our whole family! Besides his obvious surgical talents, I am so impressed with him as a person, and his entire staff is just wonderful. They are so accommodating, and thought nothing of staying 2 hours late when we were stuck in traffic for an appointment with him. I cannot say enough wonderful things about Dr. Khosh and his staff. He performed nothing short of a miracle in reconstructing my daughter's nose, and I am very grateful to have found him. I had a ear keloid for many years i did a lot resources on many doctors i was lucky to found dr. khosh and immediately he make me feel safe in his hands and i couldn't be happier with my results hi have a wonderful and friendly staff beside his miracle wonderful hands after all my resources i definely did the right choice and i highly recommended him to every one hi would definely put a smile in you face after you see you results. I visited Dr. Khosh to help me treat my ear that I injured in Brazilian Jiu Jitsu. I had some swelling and fluid in the cartilage/lobe area that I did not want to turn into cauliflower ear. He was able to treat it and it is healing nicely. I wanted to go to someone who had treated it before and was difficult to figure out if I should go to a plastic surgeon or ENT. He was not only experienced in this issue, but understood the different types of procedures to treat depending on the severity of the injury. He spent a lot of time with me about the condition, his decision on how to treat and his office was very clean. Z and I went to Dr. Khosh for Z's breathing issues. Dr. Khosh repaired Z's perforated septum. Dr. Khosh is extremely personable. He's a nice man, and he put us at ease. He explained things in a way that was very understandable. He was extremely thorough in his examinations-- pre-op and post-op. After the surgery he saw Z for at least 10 follow-up appointments. Right after Z's release from the hospital, Dr. Khosh was in touch by phone when we really needed him. Dr. Khosh was also very respectful of Z's companion (me!). We thought Dr. Khosh was GREAT and would recommend him to anyone looking for an ENT. On a beautiful July day, I arrived at Dr Khosh's office after a jet skiing accident on the East River. Krystyna was able to squeeze me in for an emergency appointment that I will forever be thankful for. Upon arrival Dr. Khosh mentioned it was one of the most challenging repairs he had to perform. With my confidence dropped, they immediately got to work. After numerous internal & external stitches of my chin, they fixed my face and it was time to heal. I grew a beard for 8 weeks and didn’t look. Once I shaved my beard, my friends thought I had lied to them about having an accident due to minimal signs of scaring. Dr Khosh is a true miracle worker, and I would refer anyone to him as his work is second to none. Quick, easy, and breezy. Dr. Khosh is as friendly as he is capable.